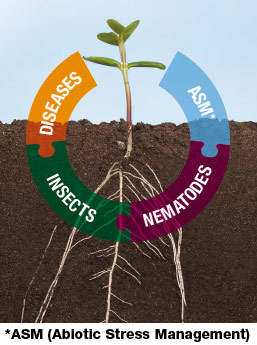 The Syngenta Seedcare portfolio helps defend and boost yield potential by protecting against early stage diseases, insect pests and nematodes. 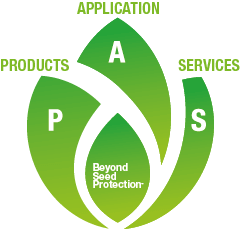 The seed-applied technologies go a step further, with products capable of mitigating environmental stresses like drought and cold, or enhancing the efficiency of nutrients and water. Our performance materials, such as polymer-based coatings and colorants applied on seeds, provide additional enhancements..